Aloha! It’s “high season” in Hawaii – lots of visitors on the islands. 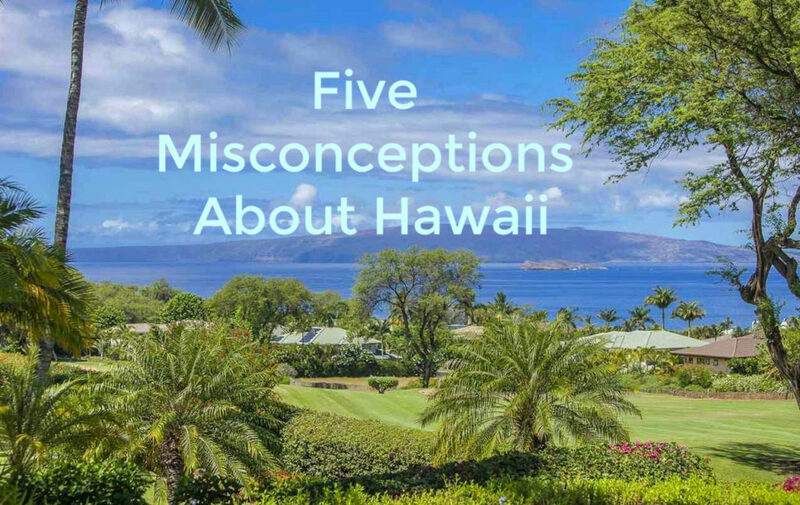 I thought it would be a good time to share this post with you about the misconceptions many have about Hawaii. This post is co-authored by my friend Maya. Let me know in the comment section any other misconceptions you often hear from visitors or from those who have not yet been to Hawaii. Arguably more than any other United States destination, Hawaii tends to come with some preconceived notions. Mainlanders (and people around the world for that matter) have a particular image and mood in mind when they think of Hawaii. And while the atmosphere projected to the world is certainly accurate to some degree, it doesn’t sum up the islands perfectly. Given that, it’s not a bad idea to research some of the culture and myths of the islands before visiting. That way you can know what to expect, know how to act, and understand that Hawaii isn’t just its touristy image. It’s very easy to think of Hawaii as a land of surfers and paddleboarders, and people hanging out at beachside bars and surf shacks in bathing suits. And in certain places, that’s a very accurate image (and what makes the islands so alluring!). However, Hawaii is also very much a part of modern society, with various lifestyles. Locals and residents work while others are here on vacation. We have doctors, teachers, lawyers, entrepreneurs, farmers, and so on. And as mentioned earlier, lifestyle varies as well. 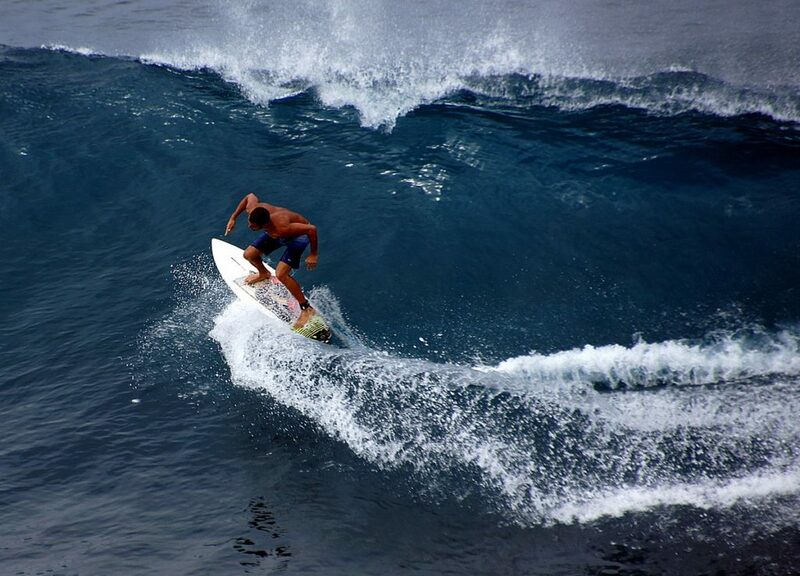 Not all are surfers. Some prefer golfing, hiking, soccer and there are some who don’t even know how to swim :). 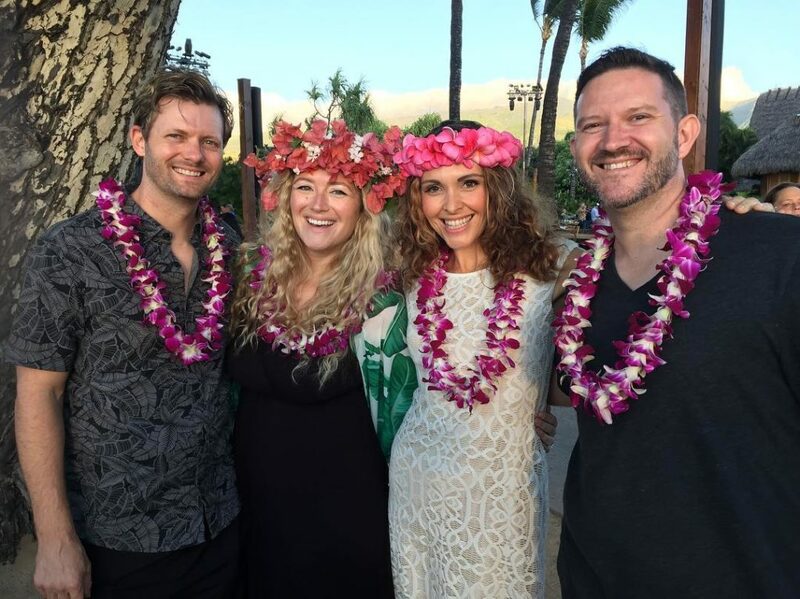 Sure we love luaus and it’s part of the tradition. However, we don’t do or go to luau every day. Luau is a traditional Hawaiian party or feast that is usually accompanied by entertainment. It may feature food such as poi, Kalua pig, poke, lomi salmon, opihi, haupia and beer, and entertainment such as traditional Hawaiian music and hula. We’ve all seen them in movies, and some may have gotten the impression that this is just what happens in Hawaii as the sun starts to go down. Not so. While some of the resorts might host luau on a more regular basis to cater to tourists, they’re not necessarily an everyday happening for the locals and residents. And there are other, ordinary parties on the islands as well. On weekends you will see many kids birthday parties on the beach park with cakes, balloons and sometimes “slip and slide”. For those who may not be familiar with it, Spam is a specific brand of canned meat. Wait, who am I kidding?! Everyone knows Spam, right? It’s generally a blend of pork and ham, and it’s been sold for nearly 100 years. Over time, it’s become somewhat popular in Hawaii, whereas much of the rest of the U.S. might look at it as something strange or even junky. 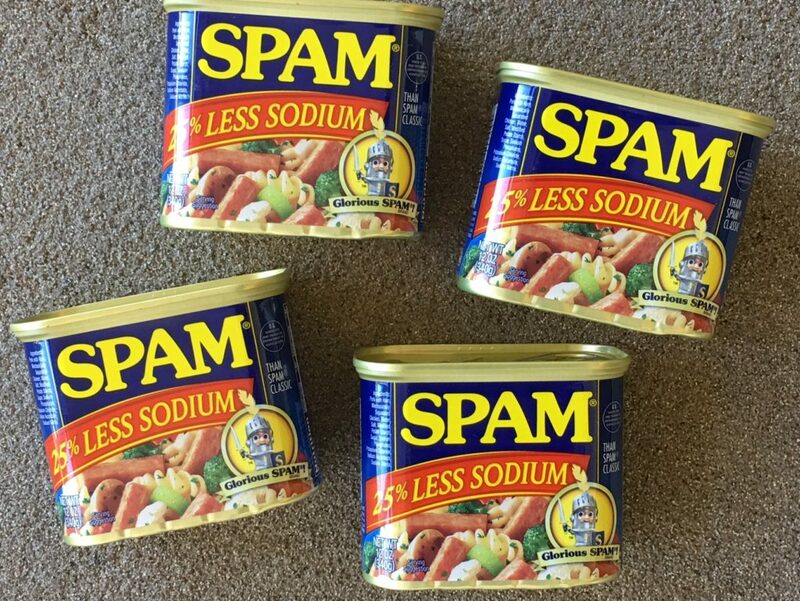 However, despite the misconception, not everyone loves Spam in Hawaii. Yes, it is popular on the islands than in most places (yes many of us love Spam Musubi), but that doesn’t mean everyone loves it here. There are many healthy eaters in Hawaii who will not touch nor eat Spam. The word “tiki”, and the atmosphere and décor it speaks to, have become somewhat of a kitsch. You can find tiki-themed restaurants all around the world, and Hawaiian Themed parties mostly have tikis. There’s even a “Tiki Paradise” game online. Though a slot machine in format, the game is set on a mysterious Polynesian island, and packed with the kitschy, traditional imagery of the same. 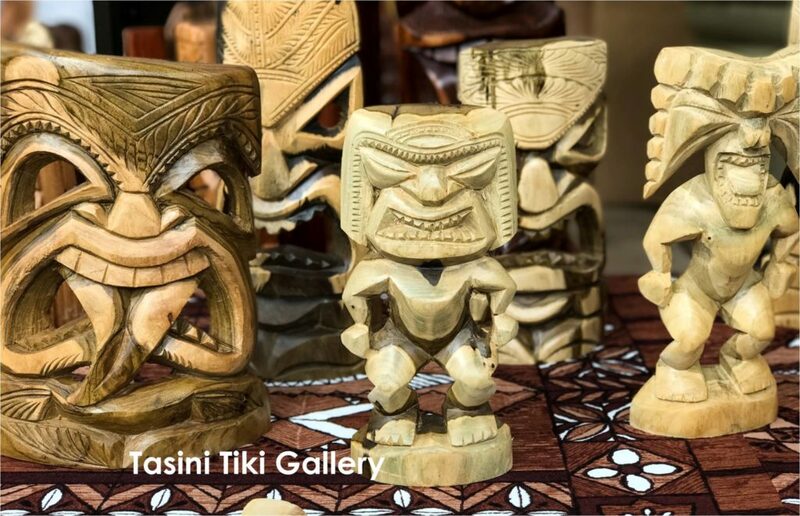 Because tiki is loosely associated with “Hawaiian theme” (because of its origin in Polynesian Culture) it is common in some resorts or public gatherings, and even restaurants to see tiki statues and the like. However, don’t think of it as just a kitsch. In Polynesian mythology, tiki often represents the first human being on Earth. These images are still used today in some Polynesian cultures in the context of spiritual practice. In ancient Hawaiian culture, the gods, the aina, or land, and the kanaka, or people, shared a symbiotic existence. So when you are browsing through the tourist-aimed mass-manufactured tiki items, remember how these images once represented the beloved and revered Hawaiian gods. I can’t tell you how many times I have heard visitors saying “in the States…” as if Hawaii is not part of the United States of America. Granting I hear it mostly from older visitors. Probably because Hawaii has only been a State since 1959 and the seniors remember it as not being part of USA. When locals hear that tourist expression”back in the States”, we often gently correct by saying “you mean, back in the Mainland” (as opposed to us being on the islands 🙂 ). Find out more information about Hawaii at Jon’s Maui info. Great information! A lot of our first time visitors have the misconception that Hawaii is all sun and beaches. They don’t realize until they come here the different landscapes, climates and activities there are. You are right Leslie. That is a very common misconception about Hawaii. I should make this article 6 Misconceptions and add that. Thanks for your comment. Ha! That is funny and very true. People focus on the things they find fascinating about a place and that’s all. Aloha Mauimama!….love your blog, interesting and informative…..future blogs could be added to address visitors coming to Maui with ‘attitude”!…Not all, of course, but way too many….the info I receive from long time friends who still live there, (cuz I was out of my mind to leave), show me way too many road accidents, caused by inattention and not caring about the aina and the roads, let alone the folks who live there!….Crime is off the charts…..makes me sad, as my heart is still there, and will always be there. Aloha from a mainland MauiMama!